Welcome to PolishBuzz.com. 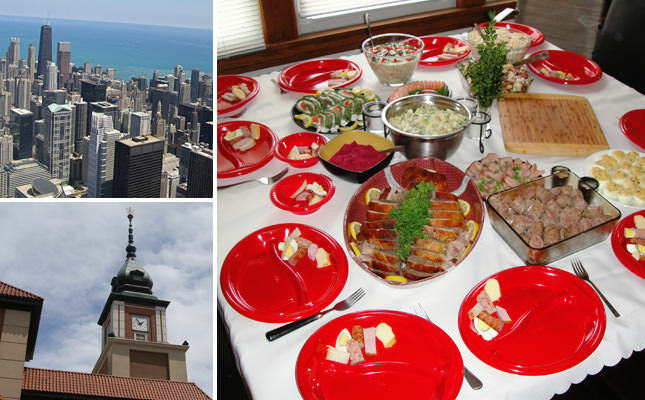 We provide information to the Chicago Polish community and to Polish American people living in the US. Our web site features a small directory of Polish businesses in Chicago as well as information that will provide entertainment for both Polish and English speakers in Chicago. Chicago is a great tourist destination for Poles looking to travel. There are approximately 900,000 people of Polish nationality living in the Chicagoland area. Having such a large population of Poles in one area has developed a thriving cultural scene. PolishBuzz.com gives a voice to the Polish American population in Chicago. We have a current list of Polish night clubs and restaurants in the city and suburbs. Our online Polish cultural directory is a place where Polish people and curious vistors can learn more about Polish culture through our cooking and commentary. Here at PolishBuzz.com Polish food is our passion. Scan the Polish recipe section for information on Polish soups, Polish meats, Polish salads, and Polish desserts. PolishBuzz.com will also provide information on how to responsibly recyle aluminum cans, glass bottles, card board boxes and paper at Chicago Recycling drop off centers. Our brand new Classifieds section is completely free. Feel free to post whatever you feel would interest people in the Polish community in Chicago or around the world. This web site is all about connecting the Polish community with people around the world. Enjoy! Our goal is to be an online cultural hub for the Polish community in Chicago. We hope that you enjoy our web site and will stop by often as we continue to provide updated information on the best Polish restaurants and Polish night clubs in the city. We are blessed to have so many contacts in the Polish American community in Chicago who have enthusiastically provided us with the information we need to make this the most vibrant Polish American web site in Chicago and the US. Browse our Polish dessert section for the tastiest treats. Visit our Polish soup section for wonderful soup recipes. Visit our Polish meats section for delicious dishes.